The MSM internships in Prague bring together all essentials that young specialists require for their career. We offer a 1-month summer internship in tourism and hospitality business. The course will take place in the Association of Hotel Business in Czech Republic. 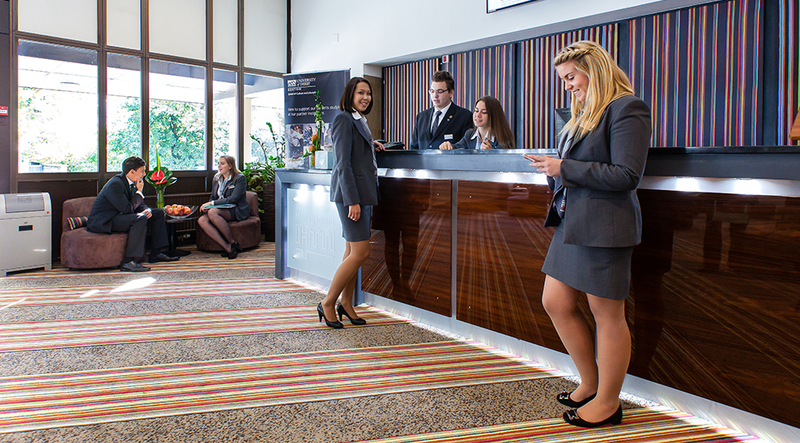 Students will be offered employment in some of the best 3-4-5* hotels in Prague. This is also a great opportunity to gain English language practise throughout the course. 85 hours of classes for 4 to 6 hours a day. Students of the summer internship in tourism and hospitality take a series of professional training sessions in different companies, depending on their chosen topic. Students of the summer internship in tourism and hospitality take an advanced English language course, which helps them boost their business communication skills. The language course takes place in MSM Academy. All teachers come from US, UK, Ireland and other native-speaking countries, which gives students authentic experience of English language. We recommend this program for all students and young people, wishing to gain additional professional experience, to pass training abroad, improve current professional and language skills, and also all those who would like to spend unforgettable time in the center of Europe! “Basics of Travel Business. Management in Tourism”.